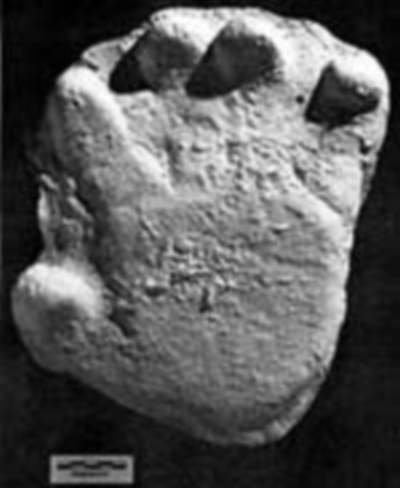 In the summer of 1970, many hand prints were found in Washington state and are believed to belong to Bigfoot. Two of the prints were made into plaster casts, and many more were photographed. They are both of the left hand and are said to be the best two found. They show a very broad, flat palm, with stubby finger. The prints also lack an opposable thumb and the fingers are well separated from each other. 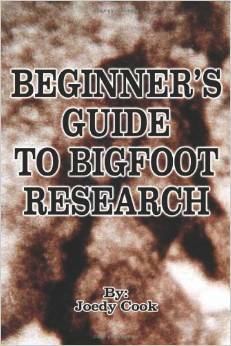 Grover Krantz writes that the prints have "many irregularities ... which cannot be identified in terms of human anatomy." Another pair of hand prints were found in the late 1980's by Paul Freeman. They are thought to be genuine.